*Edit* - Updated Jan 28th 2018 - The Original STL files for MasterSpool had a few problems for some people - the final export was a little messed up, sorry about that. 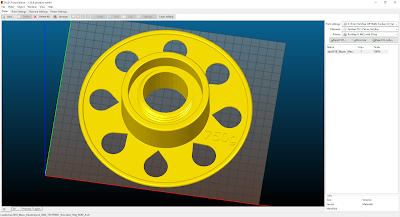 I have now simplified the design and added the new V2 files up on YouMagine and Thingiverse - Links are at the bottom of this blog post - thanks. We, as a community and industry, are making good progress on the use of sustainable filament spools. Cardboard is slowly becoming more common and even recycled plastic or eco-friendly spools are starting to be used. 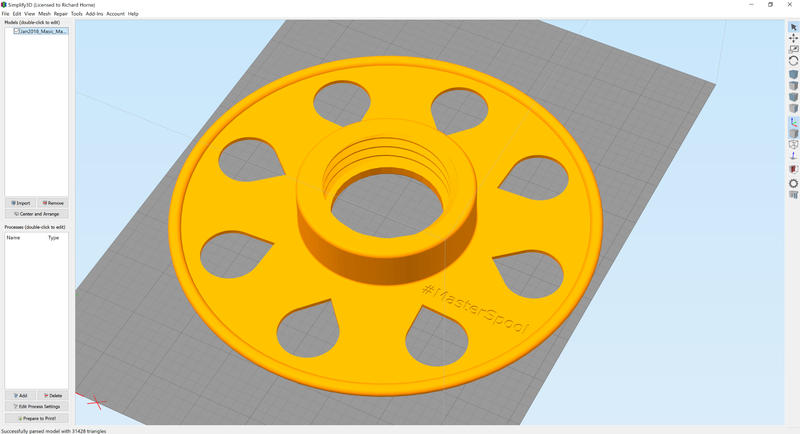 For quite some years I have also wished for a no-spool based filament delivery system, MasterSpool could be a way to achieve this. 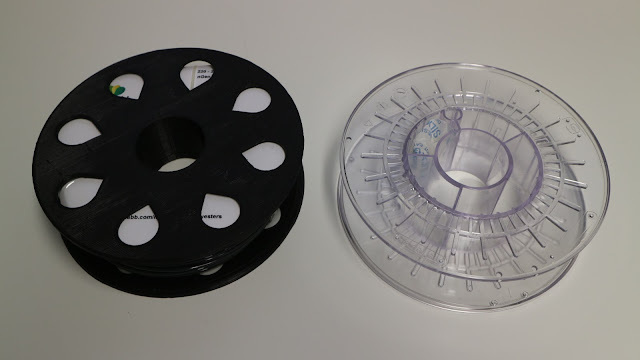 A filament roll of ColorFabb nGen - 750g of filament and another ~280g of almost 'bulletproof' Polycarbonate spool. 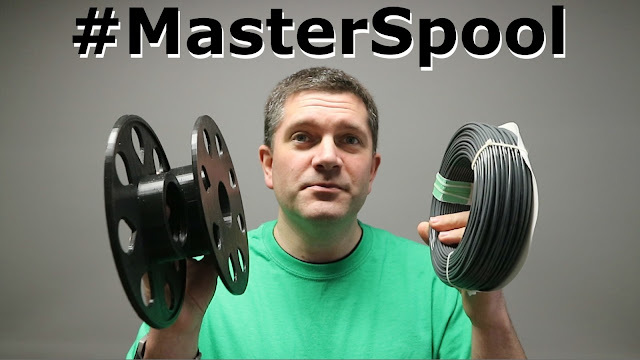 The MasterSpool standard is a concept idea for a way to deliver 3D printing filament to users without a spool. 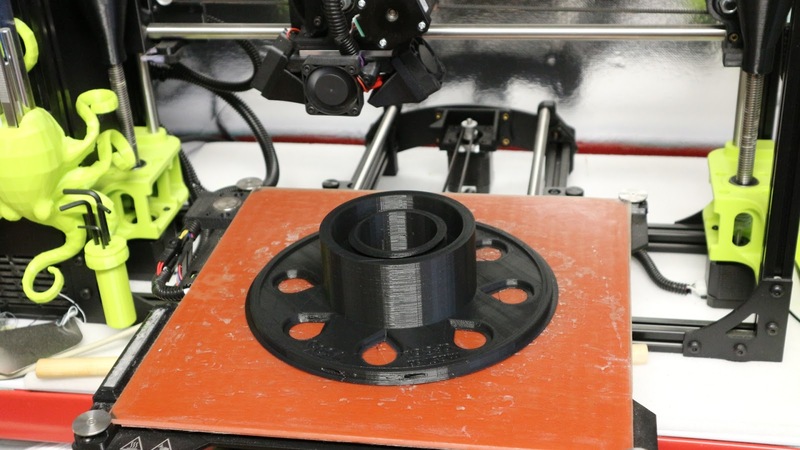 The main concept is for manufacturers to provide a material refill system to users who can then use their own 'MasterSpool' in their 3D printer. More of my video's over on Youtube here - all in HD. Dingiboy71 improved on a spool model from a designer called Tamel55 - he modified the idea for his '2-piece Filament Spool by Dingoboy71' I used this model as the basis for the MasterSpool prototype. Since then it's further evolved into Version 4 (as of 14th Feb 2018). Benefits should include a lower weight of transportation - Empty plastic spools often weigh around 250-300 grams. Smaller and less packaging for material and no empty spools for the end user to recycle or dispose of. 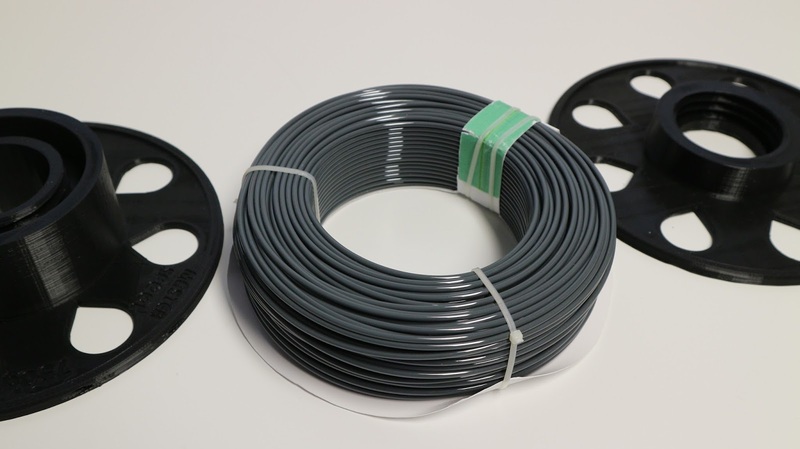 Most often, users of 3D printers do not want to use un-spooled filament. Winding filament onto a spool is also not a good idea, because it can encourage breaking and tangles. It also takes a lot of time for the user. Having a 'cartridge' of wound filament that can be simply loaded onto a two-part spool allows for super quick setup and use of materials. 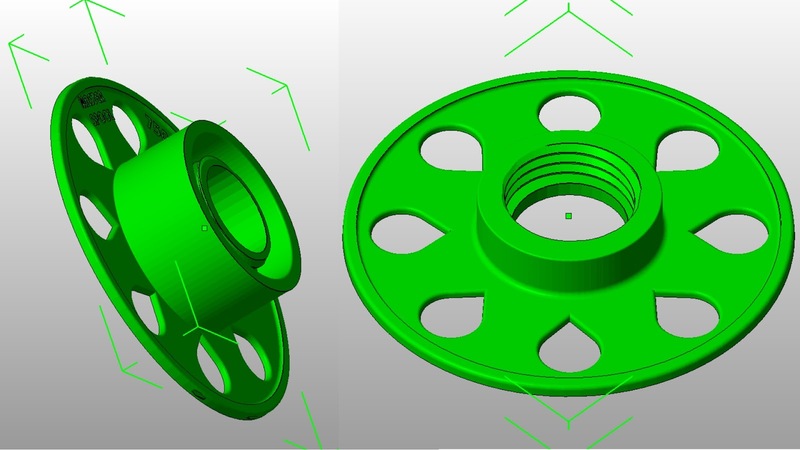 The two part spool, could be traditionally manufactured, to a defined standard - similar to what we already use now - ~200mm diameter spools with 750g or 1kg capacity. The 'MasterSpool' could also be 3D printed, customized and generally tweaked to accommodate various 3D printers. 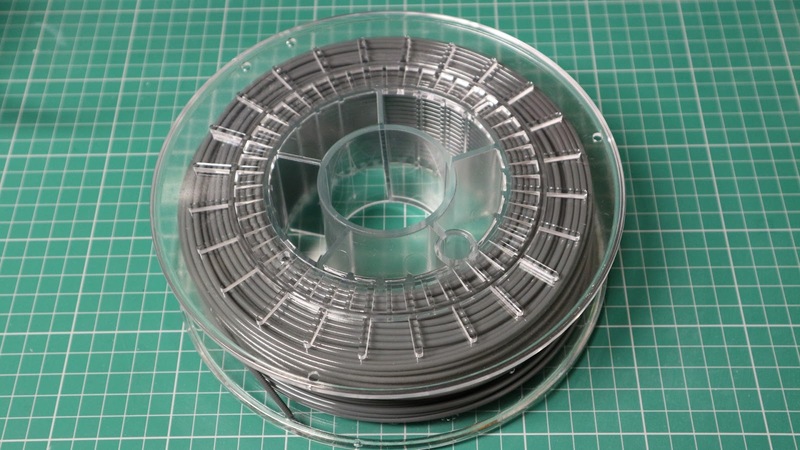 Ideally a single MasterSpool standard would be used - then we may also start seeing more 3D printer manufacturers allow a defined space for these spools. 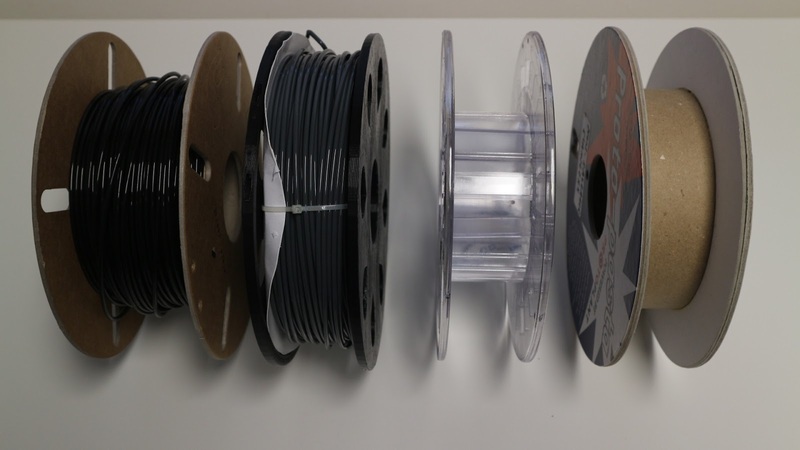 At the moment far too many different spool sizes and mounting methods are available for a machine manufacturer to choose one single method of filament spool management. Wind spools of filament onto a cardboard or stiff paper form - with an ability to secure the coil in place after winding - maybe using tie-wraps or adhesive banding. Remove the wrapped coil and pack into a simple box or vacuum sealed bag for shipment. Manufacturers will still want to brand the filament coils and maybe add key information like print temperatures or material properties etc. This can be achieved on the card/paper support for the filament coil. This was my very simple cardboard template to hold the coil - it works just fine, tie-wraps / zip-ties help secure the coil - a sealed vacuum bag would also be a perfect way to ensure the coil stays intact before use. Hopefully the manufacture of a coil without a spool is possible to work out. I can see that vacuum sealing the coil would really help keep it in good condition for transport and have the usual bonus of protecting from moisture etc. 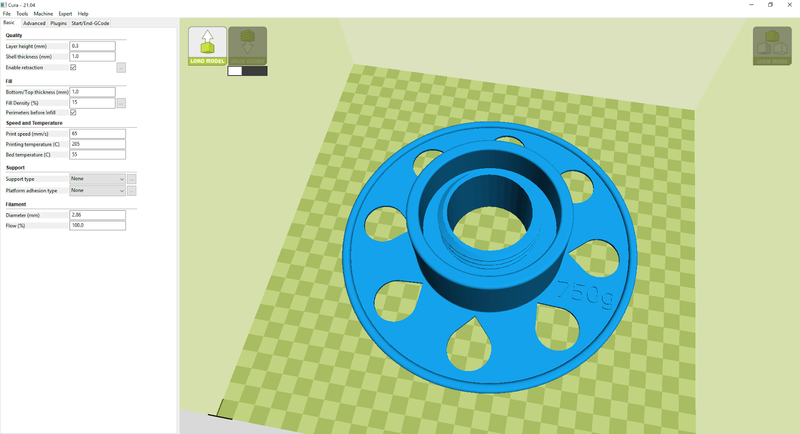 I tested the new V2 files in various slicing programs - so you should not have any issues 3D printing the files. If you are a Filament manufacturer that likes the idea and may wish to explore it further, then please contact me. 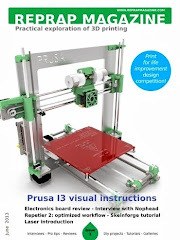 I would be very happy to help with any testing, trials and promotion of the idea / standard to the wider 3D printing community. 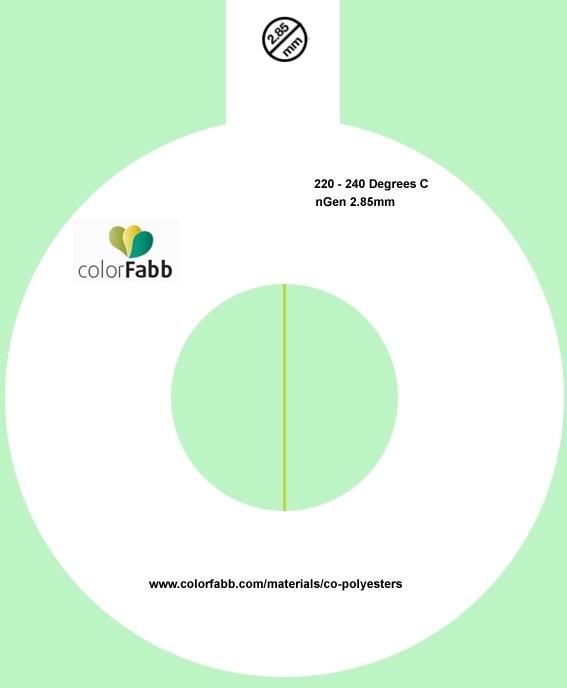 If you are a user, and you have feedback or want to get involved, then talk to your current filament supplier, see if they are interested in an idea like this. And if you have any feedback at all, do leave a message, comment or discuss it with me over on Twitter. Feel free to use the hashtag #MasterSpool - lets see if this idea has a future for 3D printing. Thank you very much for your contribution to 3d printing Community. Master spool is another revolution in 3d printer. As filaments manufacturer, we benefit a lot from it.